So, the proverbial "they" always say "you've got your heads stuck in the clouds" but that's just a figure of speech for being a dreamer and what's wrong with dreaming? We say nothing's wrong with it! 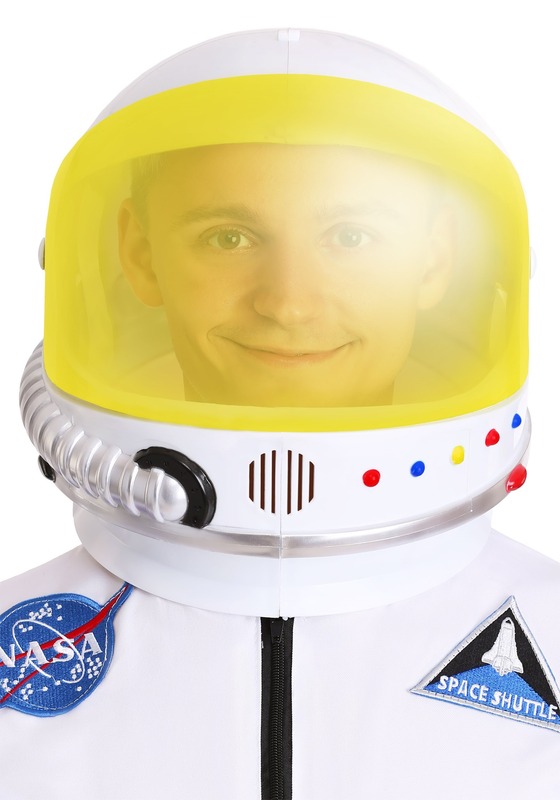 Dreaming is encouraged, especially if you're dreaming about the night sky, swinging from star to star, sliding down the Milky Way, and exploring the moon all on your own. 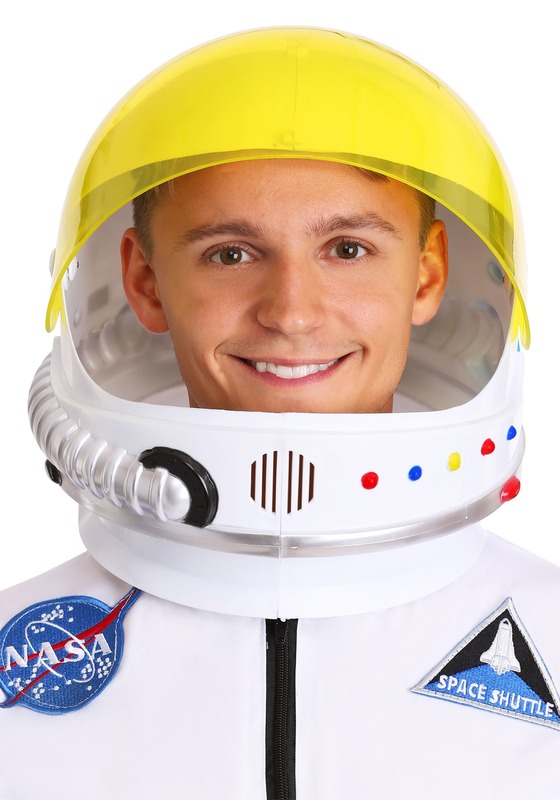 In fact, we have an accessory to make all your astronaut dreams blast off and become a solid reality: the adult-sized astronaut helmet. 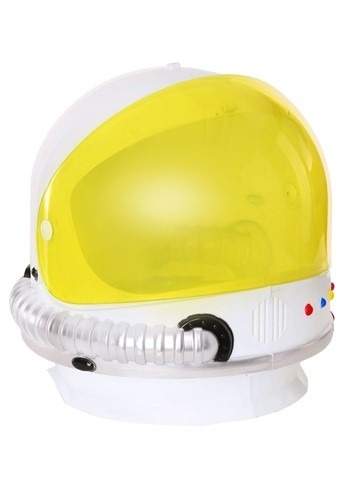 Put it on and pretend you're walking on the moon or instead, just do the moonwalk, either way, you'll feel like you're floating in space, dancing amongst the stars. The adult's astronaut helmet is a Made by Us accessory, meaning it's high-quality, well-made and able to use over and over again. 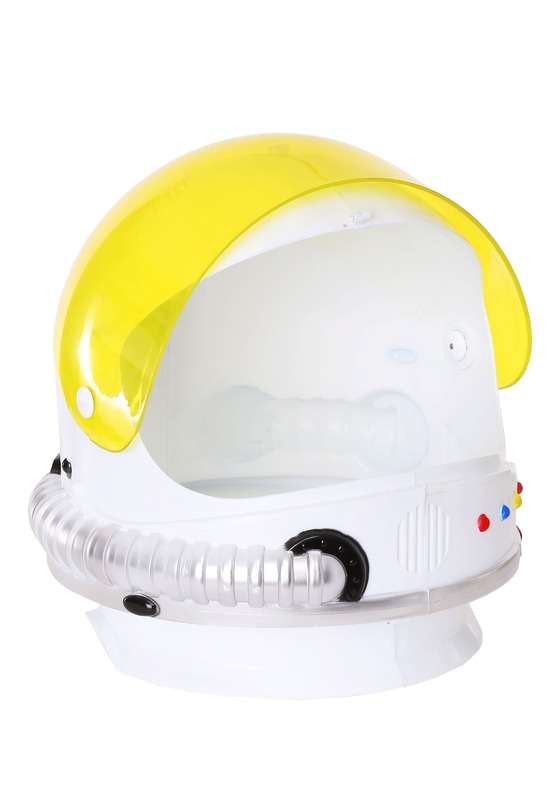 The plastic helmet features colorful fake buttons, a fake breathing tube, and an overall dome-shape. 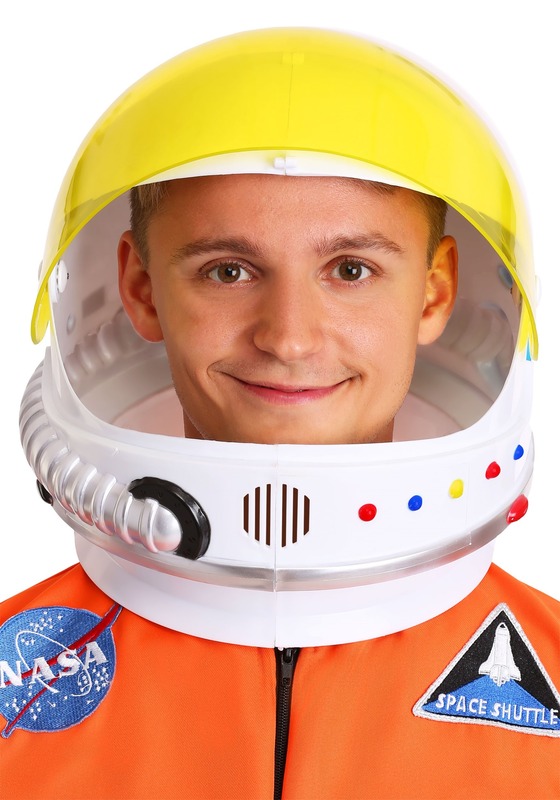 The yellow-tinted visor can move up and down so you can put it up and get an up-close-and-personal view of the earth's atmosphere. 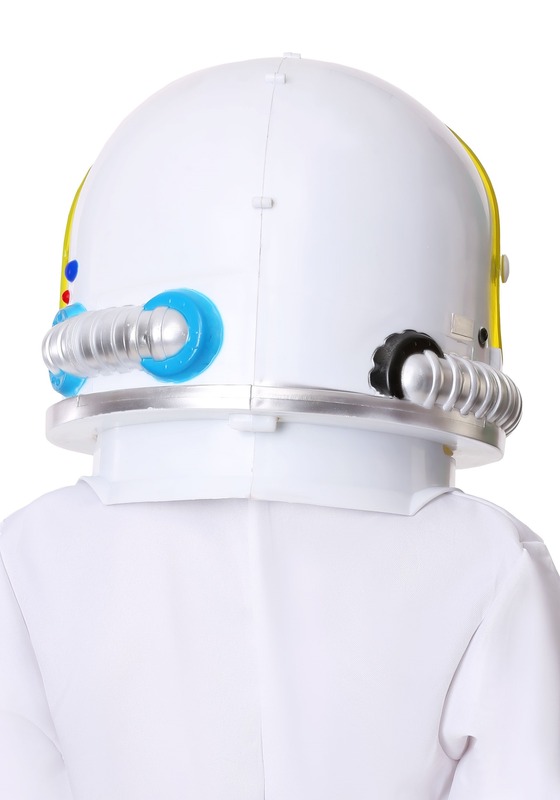 Blast off to your Halloween plans wearing a complete astronaut jumpsuit. We have fashionable styles for men and women to put you on cloud 9!